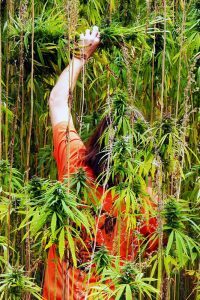 Would you like to deepen your knowledge about hemp, work in the fresh air in the “green jungle” and help us hand pick our crop? You are welcome to join us at bio farm Sasov for our harvest! You will receive a 2h workshop Hemp and hand-picking harvest at the bio farm Sasov, which covers basic information about hemp, its content, health benefits, usage within industries, work in the field, etc. and it is free for our staff. Accommodation is possible in facilities of nearby airport in Henčov. To reach the farm use the public transport. As we begin to bring in this year’s harvest with our farmer partners, a regional Czech TV crew stopped by to make a report, interviewing our CEO and some of the team carrying out this tough manual labor. Our production is in cooperation with Biofarm Sasov in the middle of the Czech Highlands. Vignesh Murthy is one of the few daring individuals who has chosen to take on the daunting task of sowing the seeds of this nascent industry (pun most certainly intended). While it’s hard to catch a hold of him (owing to his hectic travel schedule between Uttarakhand and Bangalore), we managed to conduct an interview with him via satellite, and came away inspired. Hempoint supplied seed for the historic planting of 60 acres on the Colville Reservation in Washington (USA) that will be harvested this autumn. The crop is among the first allowed under the state of Washington’s government controlled industrial hemp research pilot program and the first on tribal lands. The lands are under the 12 Confederated (native American) Tribes of the Colville’s program to increase revenue for tribal members and create jobs to replace those of a lagging timber industry.